Thank you for attending CVMA CE West 2018! CVMA is busy planning the details and schedule for CE West 2019. Please continue to check this website as content will be updated as soon as it becomes available. CVMA CE West brings education to the Western Slope of Colorado! This unique education opportunity is designed for small and large animal veterinarians in Colorado and surrounding states, delivering 12 hours of continuing education plus time for social activities and recreational opportunities in a highly appealing destination. We welcome you to attend CVMA CE West and see for yourself how the program is a perfect combination of professional education and outdoor fun in Colorado’s premier wine region! In order to earn CE credits, attendees must participate in each of the presentations throughout the program. A Record of Participation will be given at registration, which you should retain for your files. For more information on continuing education policy and requirements, please visit the Colorado State Board of Veterinary Medicine: Continuing Education Information by clicking here. The Wine Country Inn is a Victorian-style boutique hotel, sitting on 21 acres of working vineyards, and is adjacent to two wineries and nearly over a dozen more. 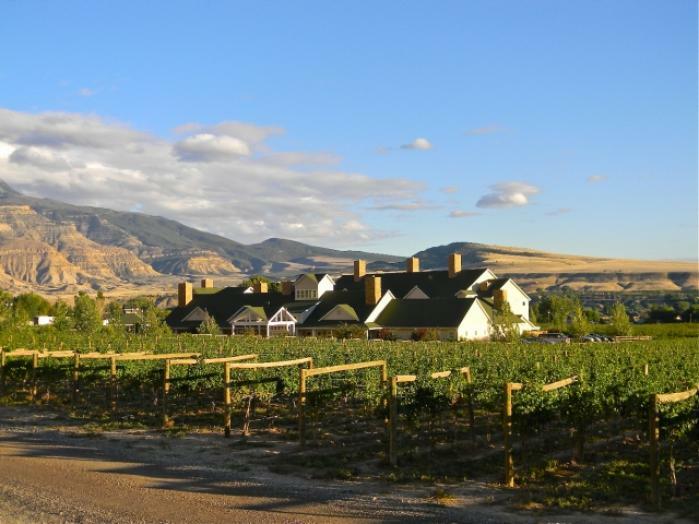 The Inn, Colorado’s first wine-themed hotel, offers a hearty breakfast and afternoon wine reception, as well as cocktails and light fare in Tapestry Lounge or farm to table cuisine in the elegant Caroline’s. For more information on Wine Country Inn, please visit their website at http://www.coloradowinecountryinn.com/. Reserve your room today to ensure availability of CVMA’s discounted group rate! $142/night plus tax. Rate available until May 16, 2019 or until the group block is sold out, whichever comes first. Phone: 970.464.5777. Identify you are with the Colorado Veterinary Medical Association and use group rate code CVMA19 (no online reservations available). Note: Limited quantities of different room types – make sure to call today to reserve your room! Registration for CE West has SOLD OUT! Please direct any questions about registration to Sara Eberhardt at saraeberhardt@colovma.org. Pricing is based on CVMA membership level. Register by May 17 to receive preferred pricing. Rates go up after May 17. Gail Marshall, Director of Sponsorships and Learning at 303.539.7264 or email GailMarshall@colovma.org.